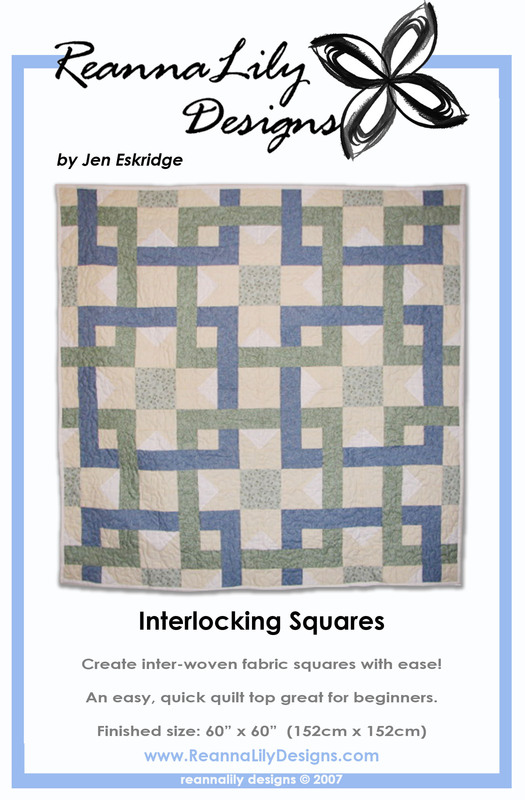 Create inter-woven fabric squares with ease! An easy, quick quilt top that is great for beginners. It comes in four sizes:? Lap, Twin, Queen and King. 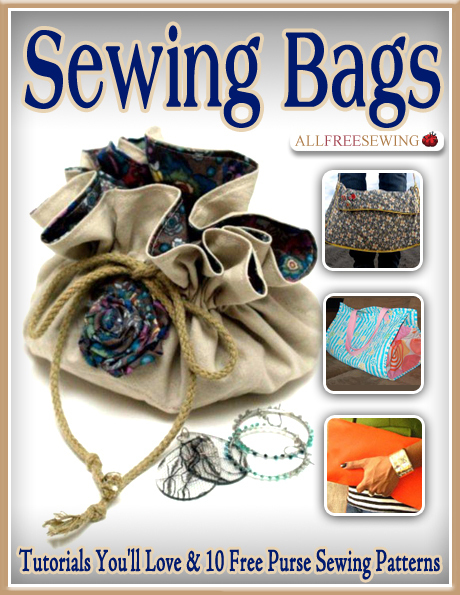 I’m happy to announce this fun new title, Sewing Bags, from our friends at AllFreeSewing.com. They compiled 10 fun bag patterns from 10 different designers, into a FREE FREE FREE eBook for your sewing enjoyment. 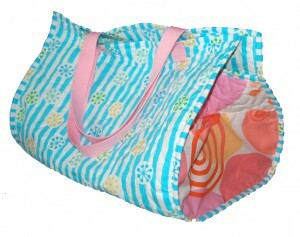 I was thrilled that the popular Beach Bag was invited as one of the 10 patterns. The book is a downloadable file available on their website. You’ll have to check it out! “Teddy Bear Circles” quilt pattern by Jen Eskridge is a cute quilt for any baby. Learn techniques for making quick easy appliqu? circles. Use your favorite fat quarters or layer cake. This quilt features Northcott Fabrics. 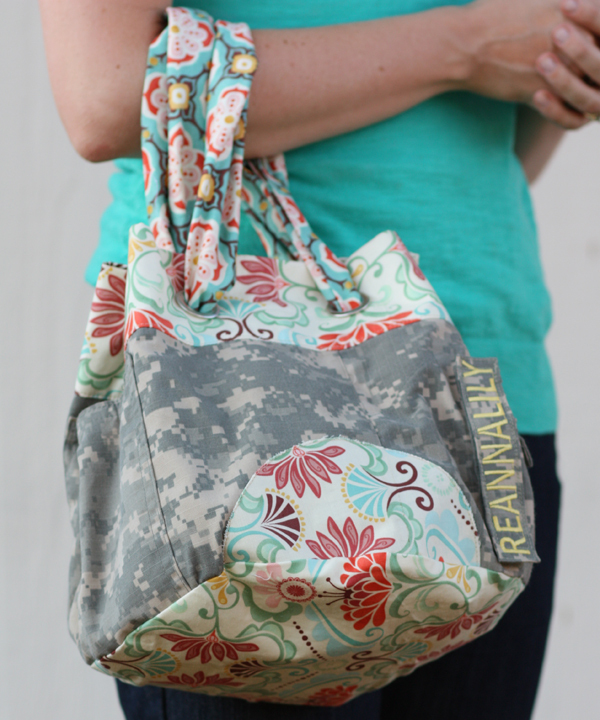 The bag is a quick quick tote pattern. 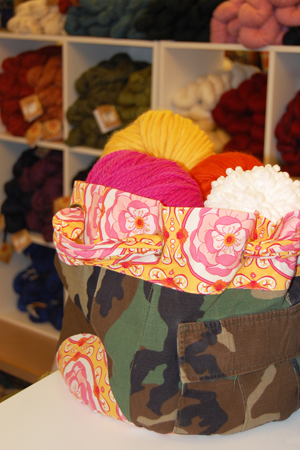 The bag measures 11″ diameter and approximately 9 1/2″ tall. The perfect round circle bottom is cut by tracing (or rotary cutting around) a 12″ vinyl LP record! The handle is a soft fabric sash style handle interwoven through grommets. Quilter’s World featured this bag in April of 2011, on page 80. Create your own Quilt Guild Name Tags from this pattern. Or make Fabric Postcards!! Choose from one of 6 designs included in this pattern. Wow your guild with a great quilt design and your personal flair. Designs include a Ladybug, Americana Flag, Flying Geese, Square in a Square, a Wreath and Wonky Stripes. This title is also available as an e-Pattern! Ease into an artistic quilt made entirely with fat quarters and traditional techniques. 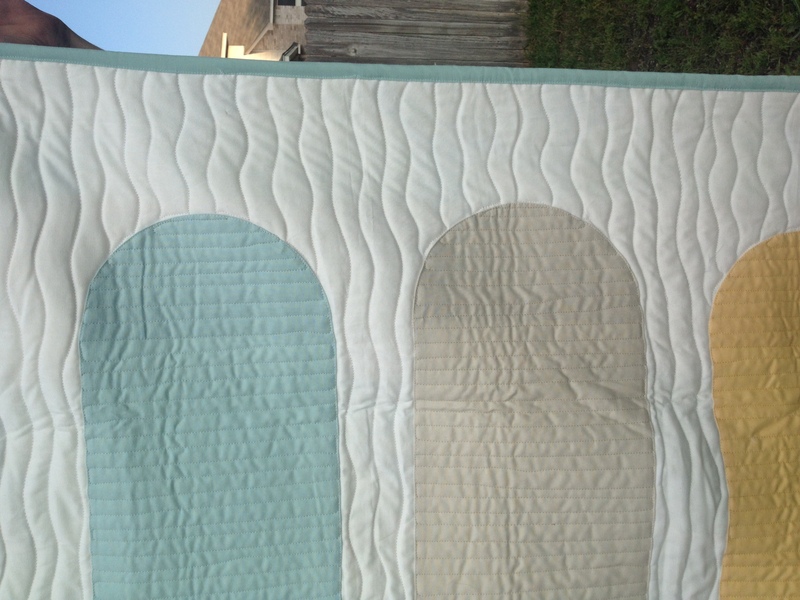 The Floating Bubbles quilt pattern not only uses up those fat quarters, but also offers tips and techniques for appliqu?ing perfect circles. This pattern is a real gem! 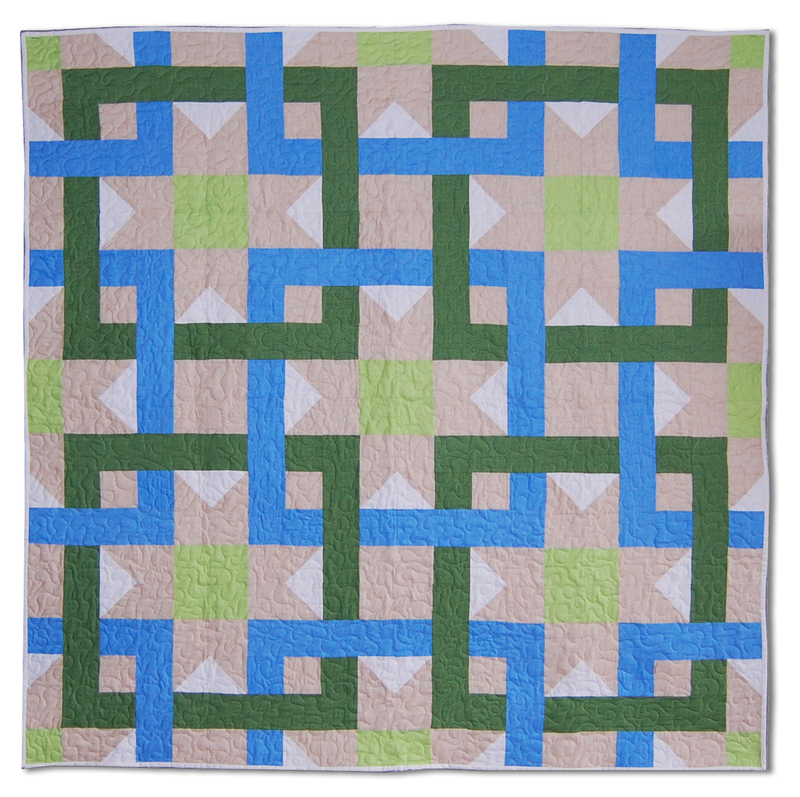 Use this innovative look to spice up your quilting style. The pattern demonstrates piecing techniques, large circle appliqu? tricks and produces a fun, surprisingly quick, unique quilt. The pattern features Northcott Fabrics. 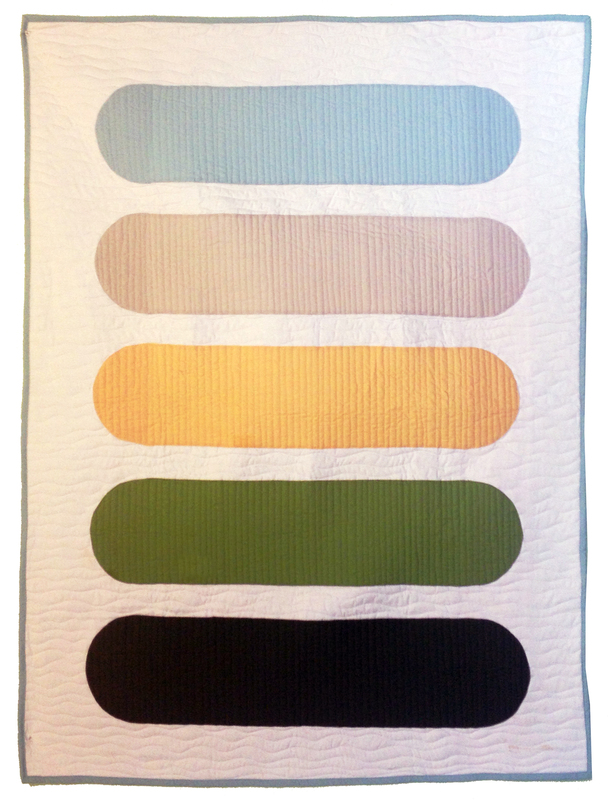 The Basic Bars Quilt ePattern is the newest in a series of bar-based, machine applique designs from ReannaLily Designs. The concept builds on techniques featured in Hexagons Made Easy and Learn to Sew Easy Curves. The bars are created using a facing, modified from the techniques in the books. Learn how to create simple facings and machine applique the bars to a background fabric. The design couldn’t be easier. 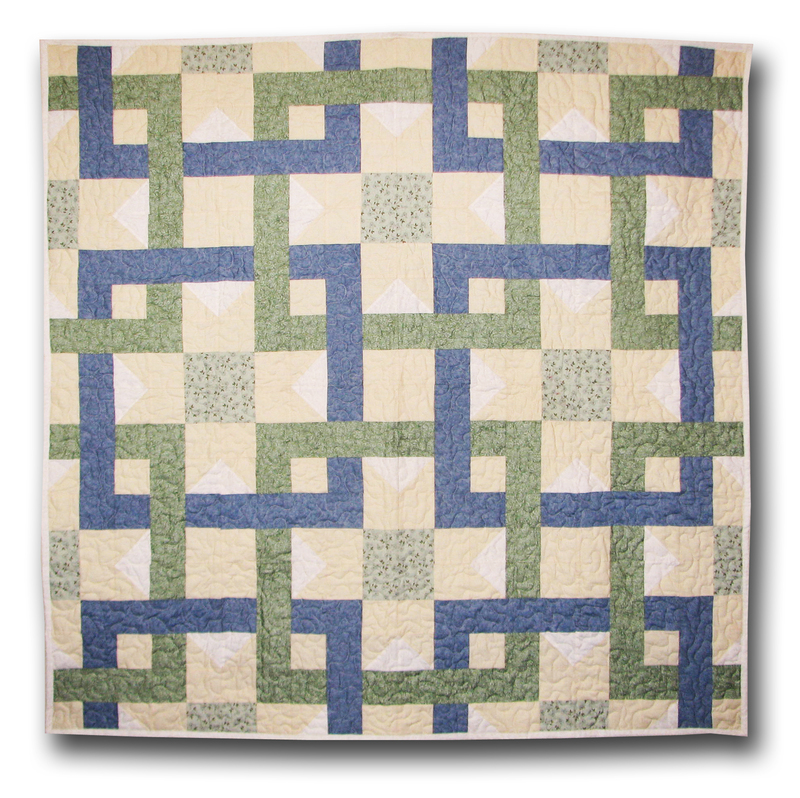 This pattern is perfect for easing into modern quilting using a controlled, exact method. After all, it can’t all be improvisational pieced blocks, right? 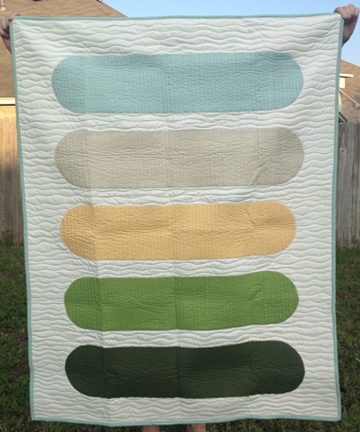 Should you be in a pinch for a fast baby gift, look no further than this quilt. With the baby size requiring only 5 quarter yard cuts of fabric + background, this is affordable and do-able in a week night. 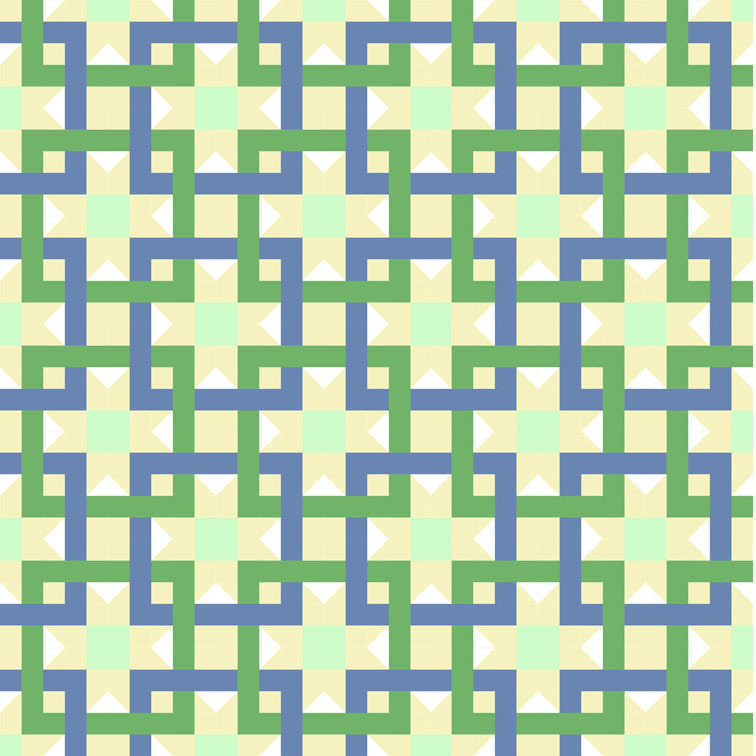 This pattern includes ideas for free motion quilting, too. No longer to you have to agonize over the phrase “quilt as desired” (Though, I totally did include the phrase in the pattern!!) 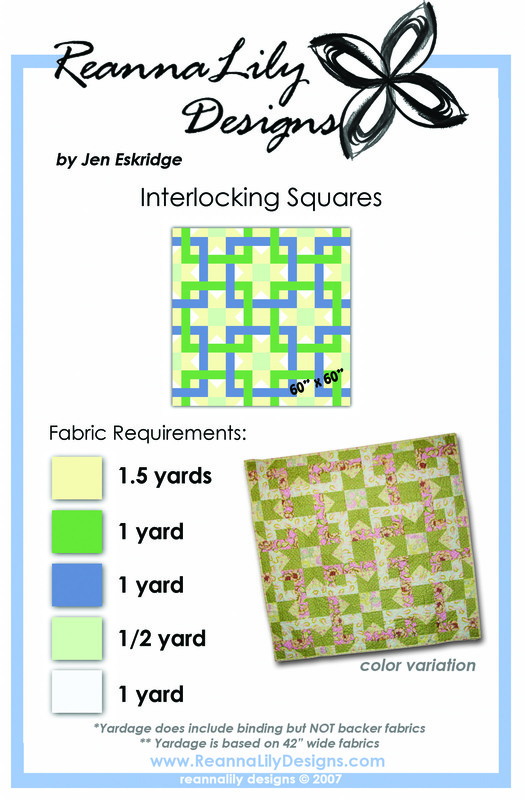 A basic starting idea for free motion quilting is on page 3. The “Sleepy Stars” quilt pattern by Jen Eskridge would be perfect for any baby to wake up to. It involves one large stunning block repeated 4 times. This title available as an?e-Pattern! The Quilted Party Tray? pattern is a quick and fun quilting project! Next time you throw a party, make a statement when you put snacks in your Quilted party tray. This title is available as an?e-Pattern! 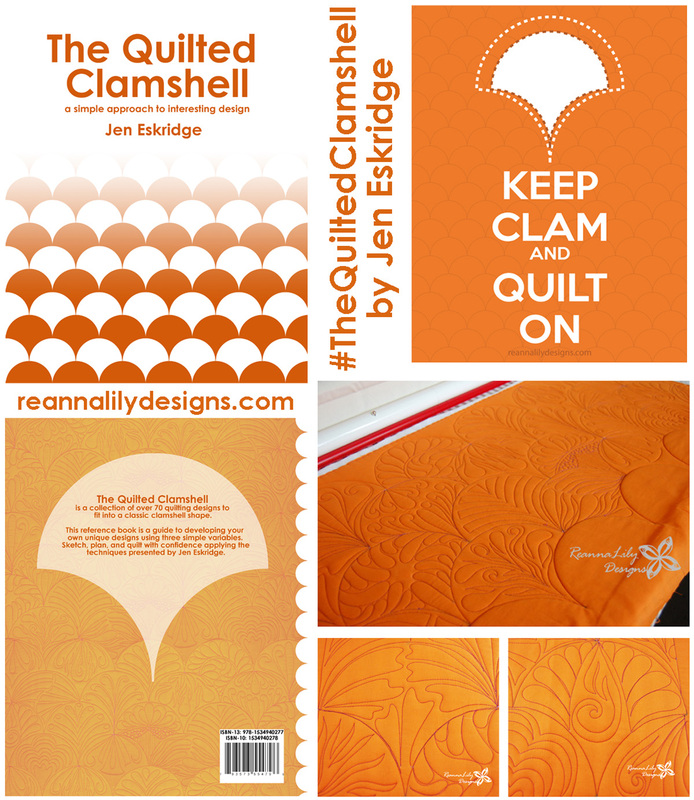 The Quilted Clamshell is Jen’s fourth book and is entirely self-published! The Quilted Clamshell is a collection of over 70 quilting designs to fit into the class clamshell shape. This reference book is a guide to developing your own unique designs using three simple variables. Sketch, plan, and quilt with confidence! This listing is for the E-Book. The book is a method to develop quilting designs. As a longarm quilter, time is invested in researching perfect designs to compliment customer quilts. In that research, I noticed there seemed to be a gap in designs where the clamshell was concerned. I doodled and drew as research for my own Glam Clam project. After some time, I noticed I approached the design process in the same manner: manipulating three variables. The Quilted Clamshell was born. 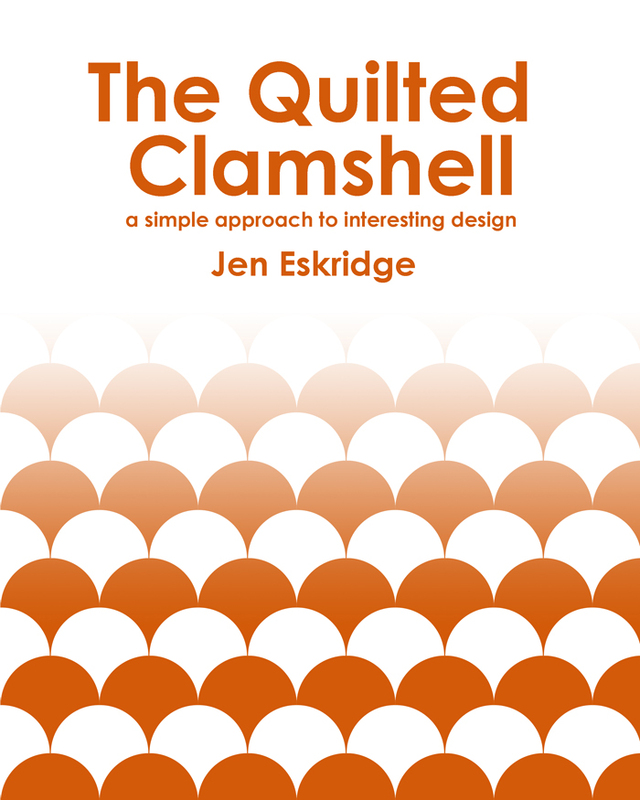 Unlike my other books, The Quilted Clamshell is entirely self-published. The printed book is available through Amazon and as an ebook through ReannaLily Designs shop. 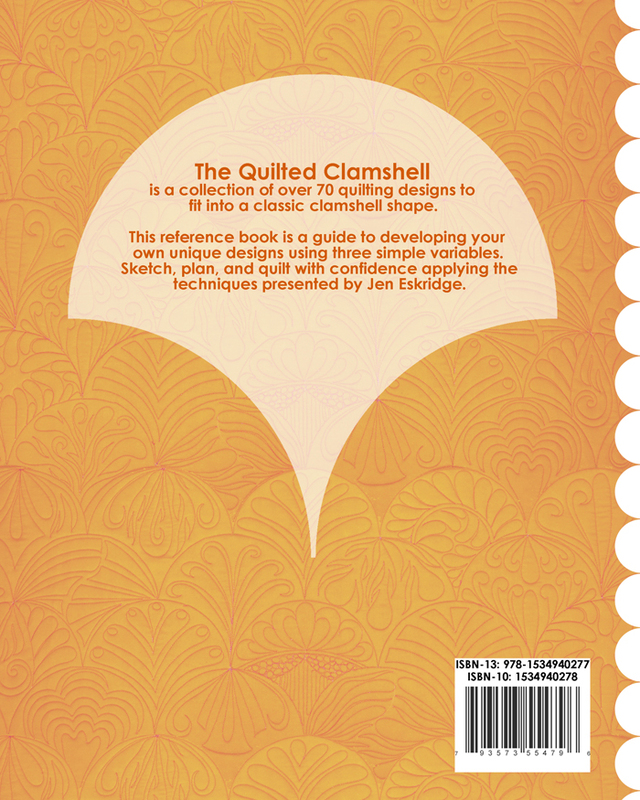 I hope The Quilted Clamshell?is useful to you and your quilting projects! The Woven Comfort pattern by Jen Eskridge makes a beautiful and intricate quilt. 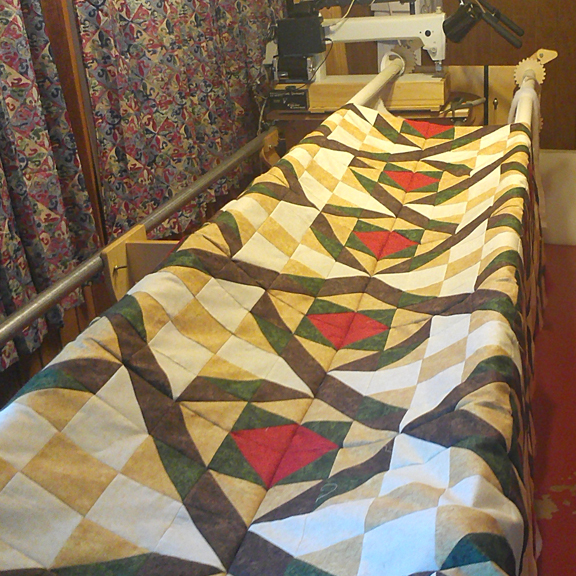 Although it looks very complex, it consists of identical 15″ quilt blocks. 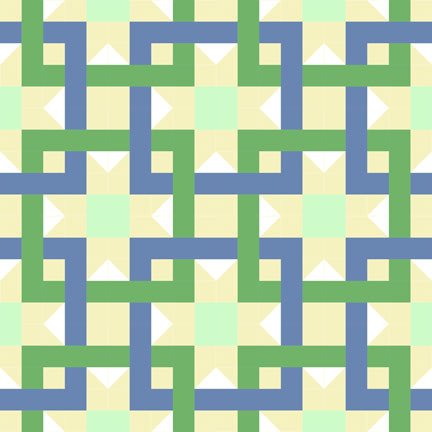 If you like geometric, this quilt pattern is for you!